Professional haircuts for the entire family! 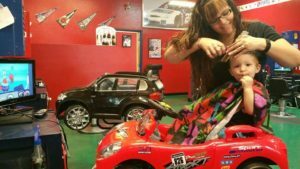 Sports buzz haircuts is a Tucson company that serves our community since 2002. Sports Buzz Haircuts has been delivering professional hair cuts by the most experienced hairstylists and barbers since we opened in Tucson. Our goal is to provide both a superior customer experience and tremendous value for our customers. We are locally owned and operated by the most experienced Stylists and Barbers in the beauty industry and we are passionate about exceeding your expectations.